'Stop watching us': who gets pardoned? Snowden, though, has enthusiasts who applaud his dissemination of material about Americans spying on Americans. Like the anonymous sculptors (why anonymous? Who are they afraid of?) who put up a sculpture of Snowden in Brooklyn’s Fort Green Park, which frantic park employees rushed to cover up before hauling it away. Or Mozilla, a software collective, which Jill Lepore, the intrepid Harvard historian and New Yorker essayist reports, have begun an online petition, “Stop Watching Us,” to be sent to Congress saying that Snowden’s disclosures were about a “type of blanket data collection by the government [which] strikes at bedrock American values of freedom and privacy.” Good luck, Mozilla, especially with so many troglodytes seated on the right side of the House and Senate, and so detached a president. It goes without saying (Of course, I exclude the capital’s many war lovers and its heavily subsidized neocon home front heroes) that without 9/11 and Iraq, our latest era of mindless hysteria, careerism, profit-making, military adventurism, and public apathy, no online petition or park sculpture would have been necessary. Our vaunted “intelligence community” and political class which has helped bury tens of thousands of American soldiers, plus countless Asian and Mideastern civilians, now has to contend with Snowden, the deceptively mild-mannered and very smart techie, a libertarian who voted for Ron Paul in 2012, and who did what he did without asking for a handout. 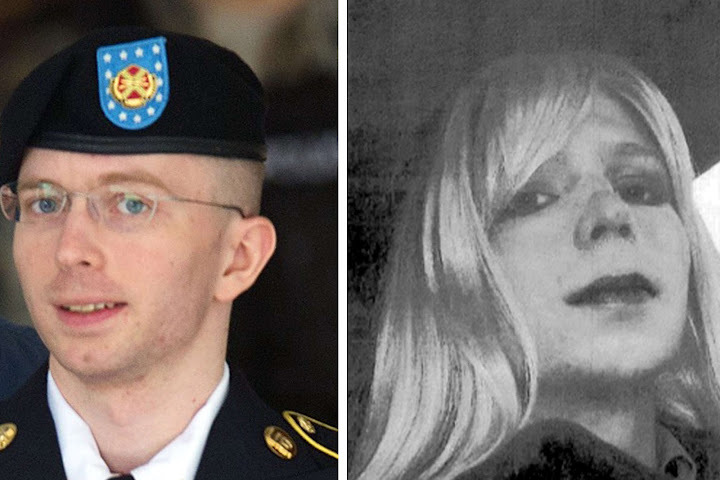 In Washington, the center of an empire awash with bribers and piles of money, few skeptical pundits, special interests, greed and opportunities galore, not many want to jeopardize their careers by fretting publicly about the exiled Snowden or Chelsea Manning’s draconian prison sentence. So that leaves us with Barack Obama who rarely offers any pardons. And finally, in addition to the raft of valuable documents included -- suitable for curious teachers and students from high school through graduate school -- we have Lee Hamilton, who from 1965 to 1990 served in Congress where he chaired House committees on foreign affairs and intelligence and later served as vice-chair of the 9/11 national commission. Hamilton, the politician, is tough and unforgiving. “The amount of misinformation from the government on surveillance programs has simply been astounding and appalling.” About the national director of national intelligence who allegedly lied to Congress, Hamilton pours it on: “I am still waiting for the attorney general to indict him for a clear-cut case of perjury.” By this administration? Meanwhile, I’m waiting for a companion book, “The Manning Reader.” Snowden once called Manning “a classic whistleblower,” a category unappreciated by an Obama White House dedicated to relying on Woodrow Wilson’s archaic Espionage Act. Compare Obama’s indifference to the very harsh treatment, bordering on torture, given Manning in the Marine brig at Quantico and then read how in contrast his courageous subordinate, P.J. Crowley, a State Department press spokesman, quit in protest. From his cell, Manning has been an occasional columnist for the US and UK Guardian newspapers (he also has a Twitter account). In one Guardian column he explained why he released unclassified but “sensitive” material that bared possible American war crimes. Another Guardian column had a subhead, “Americans need to know more about the battles fought in their name,” the last thing many of our doyens want. He also wrote an Op-Ed in the New York Times in June 2015: “I chose to disclose classified information in 2010, I did so out of a love for my country and a sense of duty to others.” When none of his superiors seemed to care about the secret Collateral Murder video, showing a US Apache helicopter killing defenseless Iraqi civilians and two Reuters newsmen, he sent the video to WikiLeaks. He also sent WikiLeaks an “Afghan War Diary,” about civilian deaths and wounded. It would be a simple act of justice if Barack Obama pardoned both of them before he left office. But that will take “audacity.” Even so, I’m still hoping. Murray Polner is a veteran journalist and author of "Disarmed and Dangerous: The Radical Lives and Times of Daniel and Philip Berrigan." UPDATE: On May 8th I wrote “The Great Deal David Petraeus Got Shows a Double Standard at Work.” Now one month later comes news that a group of media organizations (The AP, Bloomberg, Dow Jones, Charlotte 0bserver, First Look Media, NPR, NY Times, the Washington Post and the Reporters Committee for Freedom of the Press) have urged the court to make public all materials connected to the sentencing. As Hannah Bloch-Wehba wrote in News Media Update on June 8th: “The secrecy in Petraeus’s case was also unusual. In other prosecutions of defendants who have pleaded guilty to charges related to alleged leaks of classified information, sentencing-related documents have been made public. And Petraeus’s position as a former high-ranking military officer and public official made his prosecution especially noteworthy.” Stay tuned.